Speed warning devces have been installed on a pathway alongside Bournemouth beach in Dorset. Though not quite speed cameras, four digital warning signs will warn cyclists who exceed the 10mph limit on a shared pedestrian promenade. A spokesman for Cycling UK commented: "We always encourage people to go carefully and considerately and people should not be using the promenade as a cycle motorway, it's a shared space." However, he added: "But £12,000 for four signs seems a bit excessive. 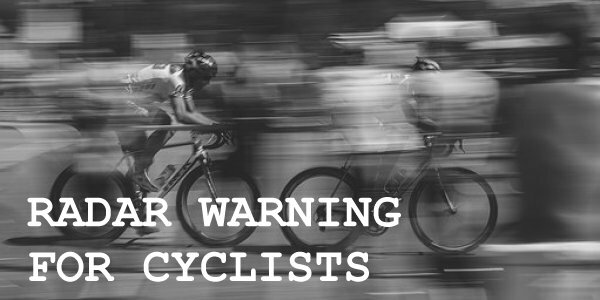 Maybe the money would be better spent addressing the few troublemakers, rather than vilifying all cyclists." The local council funded three of the signs, whilst one was paid for by beach hut owners. Ann Gerrard of the Bournemouth Beach Hut Association, said that cyclists "absolutely fly by on some parts of the prom. We have tried to stop people and tell them the speed limit but we just get a lot of verbal abuse." Same in Eastbourne, No Cyclings signs but they zip along the pathway putting some at risk. If there are a group of people walking towards them I join them to narrow the gap, mostly successful in getting them to temporarily stop. Do they really think that flashing signs will make any difference. If they do, then they are living in cloud cuckoo land. What a diabolical waste of tax payers' money. More likely to encourage them to get the sign to turn on! And if its a local regulation, why not enforce it? Oh that's right, cycles don't have any ID/registration unless they partake in race, sorry time trial, sorry Sportive! Too expensive to actually place a real policeman or council enforcement officer there once in a while? Never mind the bikes it's mobility scooters that need speed enforcement. In my local shopping precincts these silent devices are a menace and remonstrating with the driver (rider?) gets abuse in return.